No matter which part of the world you may be in, you can learn more about the region – its past, history, and culture by visiting a museum there. Museums, such as the history museum offer avenues for reliving the past and acquainting oneself with our rich historical past. In addition, museums attract visitors of all age groups and provide excellent opportunities for education, growth, and recreation. 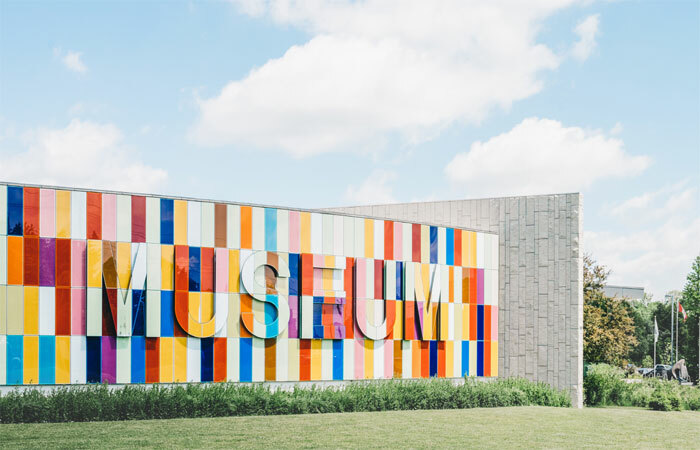 What is even more fascinating is that there are a large variety of museums that can be found all over the globe, catering to the interests of a large number of people. These include history museums, art museums, archaeology museums, maritime museums, science museums, doll museums, and more. Those of you who are interested in this field can also look at building your career with a museum. The National Museum is one of India’s largest and most prestigious museums located near Rajpath, in New Delhi. On display are more than two lakh artifacts and artworks, depicting more than 2500 years of history and rich cultural heritage. Spread across three floors, at the National Museum you will find collections of Coins, Indian Textiles, Musical Instruments, Buddhist Art, Harappan Civilisation, Archaeology, Arms and Armour, Wood Sculptures, Terracotta, Miniature and Mural Paintings, and more. The National Museum Institute of History of Art, Conservation and Museology now deemed to be a University offers various interesting courses to students at its campus at the National Museum. The National Museum of Natural History was established on 5th June, 1978 under the guidance of Late Smt. Indira Gandhi. The aim was to conserve, preserve as well as exhibit our rich flora and fauna, natural history, ecology, environment and till date, this museum serves as a venue for visits by school children and others who are interested in Natural History. Spread across four floors, at the Museum of Natural History you will find collections on preserved butterflies, preserved herpetological specimens, mounted specimens of animals and birds, etc. FICCI Museum Building, Barakhamba Road, New Delhi-110001. Also known as Gandhi Memorial Museum, the National Gandhi Museum is a museum that has been dedicated to Gandhiji, the Father of our Nation. On display are few personal belongings of Mahatma Gandhi including a pair of wooden sandals, his walking stick, his personal diary, etc. Some of the galleries in this museum include a Photographic Gallery, an Art Gallery, Spinning Wheel Gallery, Martyrdom Gallery, etc. The National Rail Museum is a unique and interesting museum located in Chanakyapuri, New Delhi. The museum celebrates locomotives and displays the rail heritage of India. Some of the highlights here include the Fairy Queen, Darjeeling Himalayan Railway, Fire Engine, Steam Locomotives, Hill and Ghat etc. Shankar’s International Dolls Museum is a very popular museum, a must-visit for all kids. On display here are more than six thousand dolls from over eighty five countries. The first Prime Minister of India, Late JawaharLal Nehru’s residence at Teen Murti Bhavan was converted into a Museum after his death. The Nehru Museum celebrates the life of Pandit Ji and on display here are some personal belongings and photographs etc. Designed by architect Charles Correa, the Crafts Museum in New Delhi is a beautiful, open-air museum which was established to preserve and display rural and tribal arts by craftsmen from all over India. A visit to this museum will remind of India’s typical village streets. Some of the galleries in this museum include the Bhuta Sculpture Gallery, Courtly Craft & Textiles Gallery, Tribal and Folk Art as well as the Ritual Craft Gallery. Music lovers will love this one! The gallery of Musical Instruments at the Sangeet Natak Academy houses more than 600 musical instruments at this permanent exhibition. Established in 1964 by Lord Yehudi Menuhin, the gallery displays a variety of Wind Instruments, String Instruments as well as Percussion Instruments including Veena, Bansuri, Tabla, Ghatam, etc. The Delhi Metro has made life easy for lakhs of commuters in New Delhi. The Delhi Metro Rail Museum showcases the growth and development of this highly prestigious project. The Indian Air Force Museum has on display Air Force uniforms, Air Defence equipments, models of spacecrafts and air crafts, etc. Parliament Museum in New Delhi celebrates India’s democratic heritage in an interesting, interactive format. The use of sound and light show as well as multimedia makes the experience even more fascinating. The Kitchen Museum at Rashtrapati Bhawan is based on an innovative concept which presents various types of artifacts as well as items used for cooking, serving and dining during picnics. Exhibits include kitchen ware, cutlery, glassware, silver dishes, picnic boxes, etc. The Sulabh International Museum of Toilets is probably one of the most uncommon museum which has on display pictures, objects, and facts related to the evolution of toilets right from 2500 BC. The museum was founded by Dr. Bindeshwar Pathak. The Bal Bhawan National Children’s Museum is an organisation that holds regular workshops and classes to enhance creativity of kids. The National Science Centre works under the Ministry of Culture of the Government of India and is dedicated to spreading knowledge and popularising science among the general public. Some of the exhibition galleries here include Pre Historic Life Gallery, Human Biology Gallery, etc. Besides these, some of the other museums in New Delhi are Sanskriti Museum, Old Fort Museum, Red Fort Museum of Archaeology, etc. Note: This listing is meant for informational purposes only. Please confirm the days and dates on which the museums are closed before visiting them. Prior permission may be required to visit some of these museums. The links to these sites may change without prior notice and we are not responsible for any errors.